Get the latest news from Eagle River's local paper. The Alaska Job Center Network is an equal opportunity employer/program. Eklutna Village Historical Park - Eklutna, Inc. an Alaska Native Corporation, established Eklutna Historical Park in 1990 to preserve the heritage and traditions of the Athabaskan people, and to portray the rapidly disappearing lifestyles of the Dena'ina Athabaskan Indians in South central Alaska. Welcome to the Alaska State Fair, home of record-setting giant vegetables and beautiful flower gardens. The Fairgrounds are just 30 minutes north of Eagle River. offers interpretive displays, programs, and visitor information. The area provides spectacular wildlife viewing, hiking, backpacking and camping opportunities. Cabin rental reservations and information can be found at the Eagle River Nature Center as well. The Alaska Native Heritage Center is a gathering place that celebrates, perpetuates and shares Alaska Native cultures. Alaska Scottish Highland Games are an annual event to celebrate Scottish Culture. The events include athletics, music, dance, food, crafts, and historical displays. Bear Paw Festival was created to celebrate the community and to share the bountiful beauty of the area with others. The family-friendly festival features a Teddy Bear Picnic, Renaissance Village, classic car show, Pageant, Slippery Salmon Olympics, amusement rides, and one of the largest parades in Alaska. 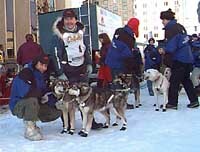 starts in downtown Anchorage on the first Saturday in March. 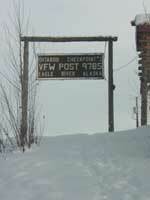 Checkpoint 1 is located at the Eagle River VFW Post 9785. The Eagle River Motel is within two blocks of the Eagle River VFW Post 9785.. Enjoy our guided 4 wheeler tours from 3 hours to full day trips. We also offer combination ATV and Kayak trips. The Alaska Zoo is one of the most visited attractions in the state, with an annual attendance of over 200,000 visitors. Dont miss your opportunity to experience a truly special place in Alaska. A full array of tours are offered into Kenai Fjords National Park. This area is considered one of the top wildlife & glacier viewing destinations in the State. 26 Glacier Cruise is a catamaran cruise out of Whittier, Alaska. Denali Sightseeing Safaris takes visitors on adventures around Denali National Park. .The Horse-Drawn Carriage Company offers sleigh and hay rides. Sunset Auto Rental provides budget transportation for the Chugiak and Eagle River areas. (907) 688-7368. More Places. More Options. Your Choice. A worldwide directory for hotels, motels and other lodging. www.anchoragealaskamotels.com - this site contains reviews and a blog about lodging in Anchorage. Alaska Directory - Your one-stop destination for anything you can think about Alaska. This Alaska Directory is designed to help its users find the Alaska information, articles, source, companies, products and services.